CHILDREN OF THE AMAZON follows Brazilian filmmaker Denise Zmekhol as she travels a modern highway deep into the Amazon in search of the Indigenous Surui and Negarote children she photographed fifteen years ago. Part road movie, part time travel, her journey tells the story of what happened to life in the largest forest on Earth when a road was built straight through its heart. For countless generations, the Amazon rainforest provided a home to the Surui and Negarote people who lived in what they called “forest time”— utterly beyond the realm of contemporary human life. Their only contact with the “outside” world was through rubber tappers, who first settled the forest in the 19th century and whose work did no harm to the trees. And then, everything changed. Footpaths gave way to a road and then a highway cutting through 2000 miles of forest. With the coming of this connection to the rest of Brazil, the world of “forest time” was overrun by farmers, loggers, and cattle ranchers. Lush forest was clear-cut and burned, deadly diseases killed off thousands of Indians, and “forest time” suffered an irreversible transformation. Zmekhol’s cinematic journey combines intimate interviews with her personal and poetic meditation on environmental devastation, resistance and renewal. The result is a unique vision of the Amazon rainforest told in part by the Indigenous people who experienced first contact with the modern world less than forty years ago. 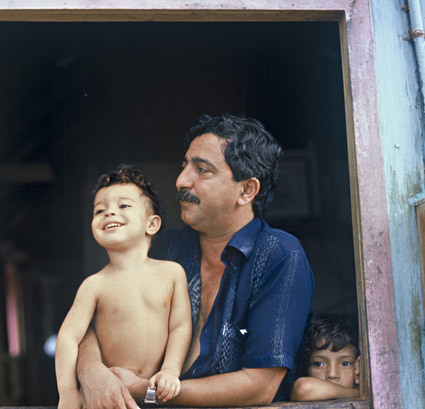 The film’s central characters are the now grown children Zmekhol photographed more than fifteen years earlier; Itabira and Almir, Surui navigating a risky course between cultural preservation and economic survival; and Chico Mendes, the legendary rubber tapper who organized a non-violent movement to save the forest and was assassinated by cattle ranchers. As she nears the end of her journey, Zmekhol discovers how the combined efforts of Indigenous people, rubber tappers, and their allies have begun to safeguard the rainforest. 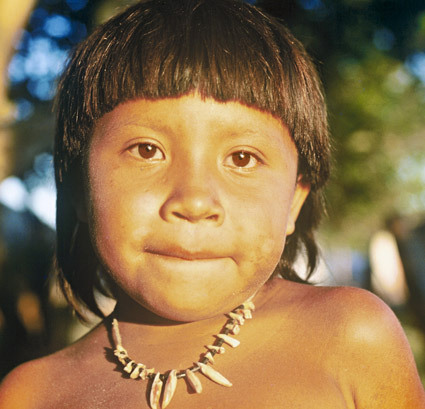 Ultimately we grasp our own intimate connection to this remote forest and its people: We are—all of us— CHILDREN OF THE AMAZON—breathing the same air, walking the same planet, and in some sense that we have yet to understand, sharing the same fate. Production of ITVS, with outreach support from LPB. Working on social issue documentaries as well as in commercial arenas, Zmekhol combines a public affairs sensibility with a commercial director’s visual acumen. A Sao Paulo native, Zmekhol studied social communication and journalism in Brazil, and completed her studies in photography, film and broadcasting at San Francisco State University. Early in her career, Zmekhol worked as a news cameraperson in San Francisco and later as Associate Producer on the acclaimed documentary Landscape of Memories. 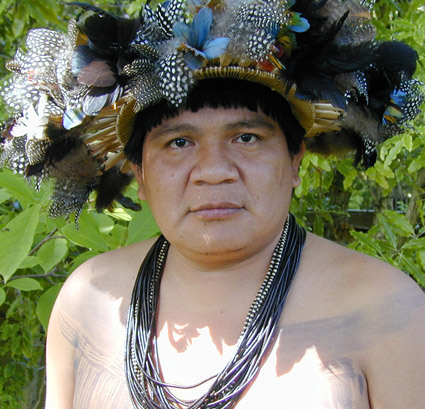 When she returned to Brazil in 1987, Zmekhol assisted on numerous documentaries filmed in the Amazon. 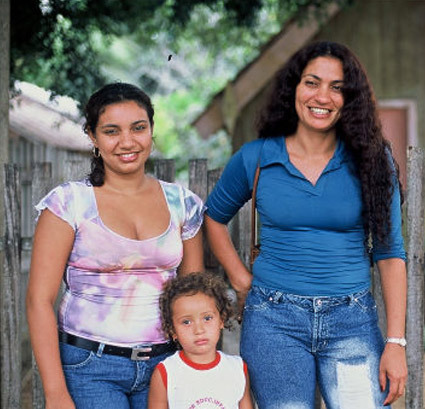 In addition to her film work, she photographed extensively, producing the photo exhibition Children of the Amazon, and shooting the last photographs of the renowned rubber tapper and environmental activist Chico Mendes before his assassination. Her photos of Mendes appeared in Time Magazine and other publications worldwide. During the 90s, Zmekhol worked as a freelance producer for various Sao Paulo production companies, creating marketing and public relations projects for Kelloggs, Max Factor, Pepsi, General Motors, Fiat and others. She quickly advanced to commercial directing, working on political and consumer spots. In 1998, Zmekhol returned to the United States to co-produce and co-direct DIGITAL JOURNEY, an Emmy award winning public television series exploring emerging technologies in their social, environmental and cultural contexts. Zmekhol has recently completed her film project CHILDREN OF THE AMAZON, an ITVS co-production about the destruction of the Amazon rainforest and its hope for the future. She is currently producing a video with Google Earth Outreach to train Indigenous Amazonian tribes how to use Google Earth to create maps to record cultural traditions and to monitor the forest against illegal logging.